I've got my hands on a copy of the bill that House Republicans will drop Thursday to amend the Iran deal. Conservative Iran hawks tell me they are going to rally around this bill — spearheaded by Reps. Peter Roskam, Liz Cheney and others — because they don't like what they're hearing about the Senate version being drafted by Republican Bob Corker and Democrat Ben Cardin. Why this matters: Last Friday, President Trump waived sanctions on Iran for what he said was the last time. He said it was a "last chance" for Congress and the Europeans to fix the deal. Trump wants a tougher international inspection regime, an end to Iranian ballistic missile research and development and a permanent nuclear ban to replace the current temporary deal that expires within a decade. If Trump follows through on his threat to reimpose sanctions on Iran in four months— and many close to him believe he will — he'll blow up Obama's nuclear deal. A senior administration official told Iran experts on a call last week that there is "no wiggle room." Indefinite zero tolerance for Iranian ballistic missiles: U.S. sanctions would immediately "snap back" against Iran if they take any action "related to ballistic missiles designed to be capable of delivering nuclear weapons, including launches using ballistic missile technology." Indefinite zero tolerance for Iran even approaching a nuclear weapon: U.S. sanctions would immediately "snap back" against Iran if the regime does anything "to enable Iran to produce sufficient weapons-grade uranium or plutonium for a nuclear weapon in under 12 months." Anytime, anywhere inspections: U.S. sanctions would immediately "snap back" against Iran if they do anything "to deny the international community unfettered, unannounced, and indefinite access to Iran’s nuclear program, including 'anywhere, anytime’ access and inspections of military sites." New sanctions: "To combat Iran’s support for human rights abuses and support for terrorism, this bill expands sanctions upon responsible regime entities such as the IRGC, and the Basij Force, by imposing sanctions on entities in which they own, directly or indirectly, a 20% or greater interest, lowering the threshold from 50% to encapture more entities." Bottom line: This is Congress’ last chance to stop Trump from blowing up the Iran deal. The four-month clock is ticking, and people who've heard Trump share his feelings about Iran don't think he's bluffing. 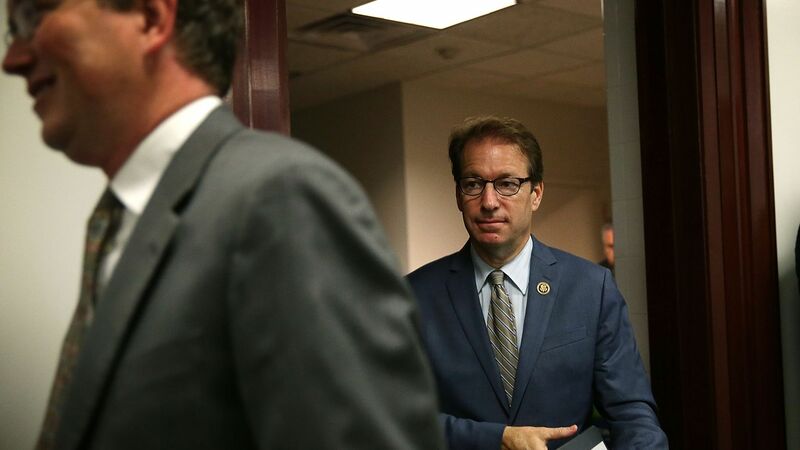 Democrats and Republican moderates — especially in the Senate — are going to hate this Roskam bill. But Iran hawks are already telling me it's their baby — far preferable to what they're hearing about the Corker-Cardin draft, which they believe will be too weak to be worth supporting.